Help the treasure hunters travel through the guarded, trap-filled, treasure temple! Beware of the stake barrier, drop pit, and falling rocks. 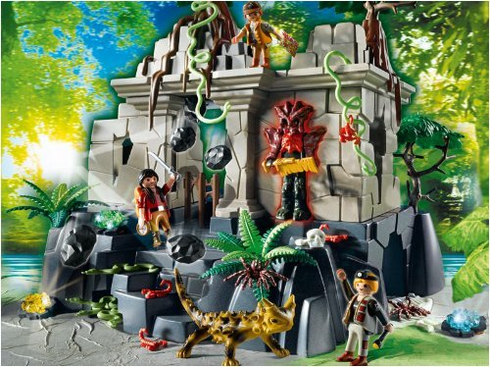 Includes two temple guards, three treasure hunters, giant lizard, treasure map and more! Measures 14 x 11 x 14". Ages 4+.